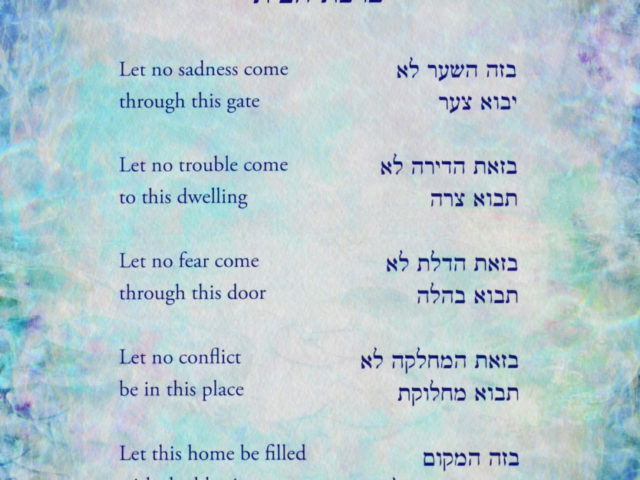 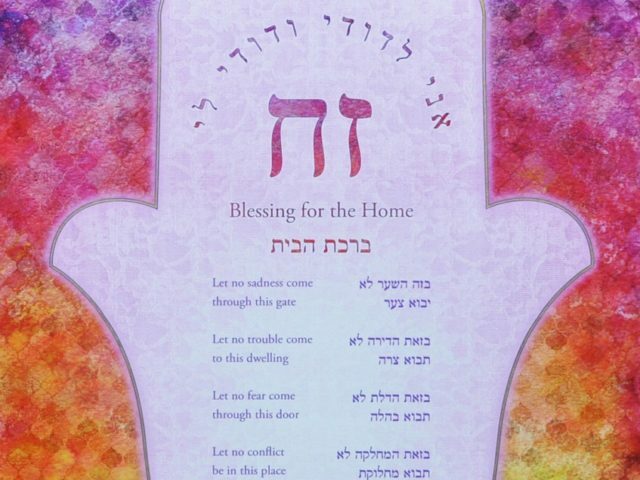 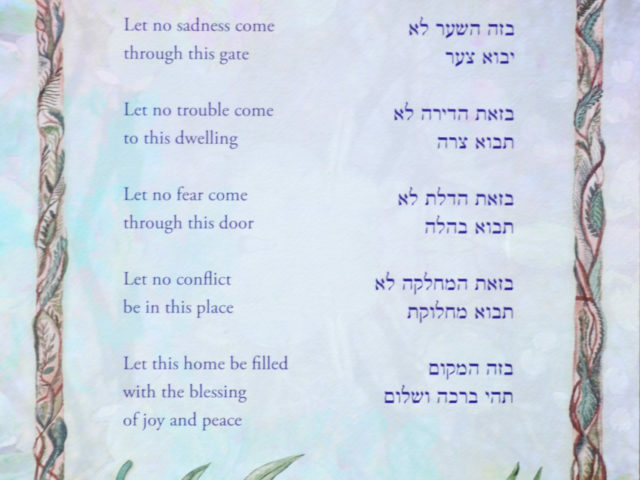 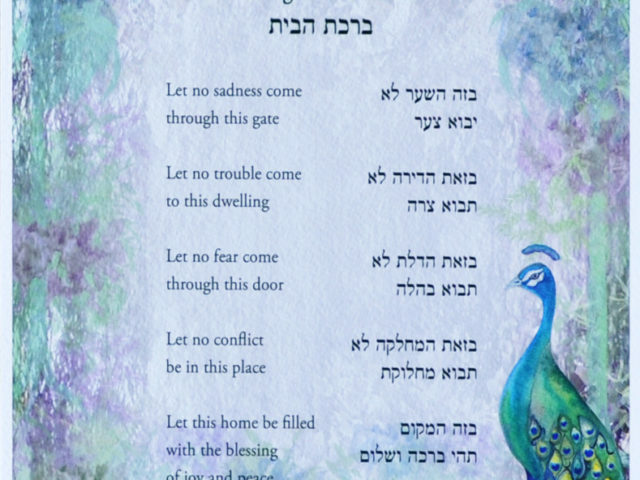 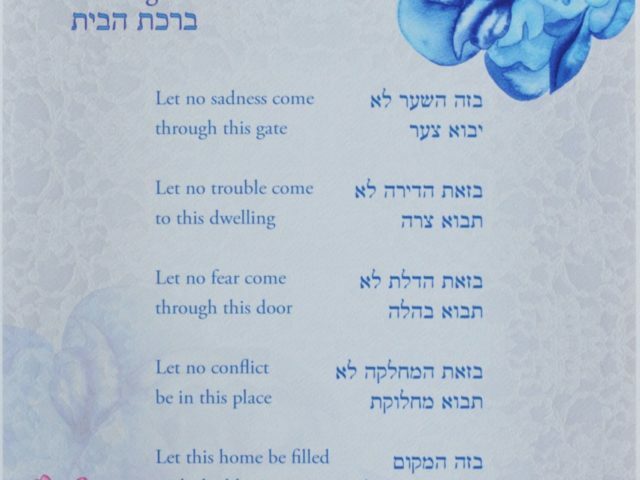 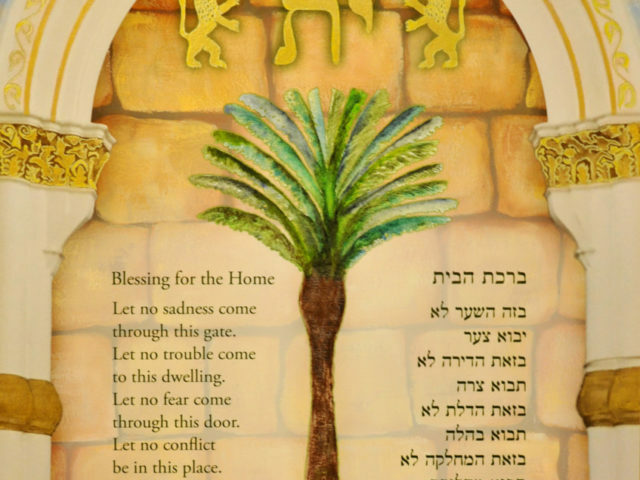 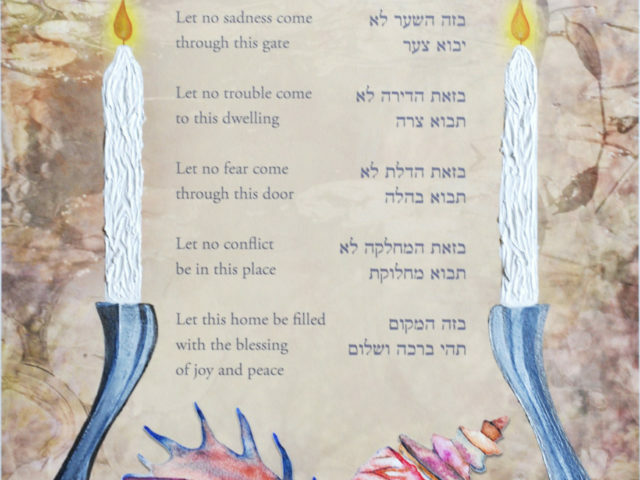 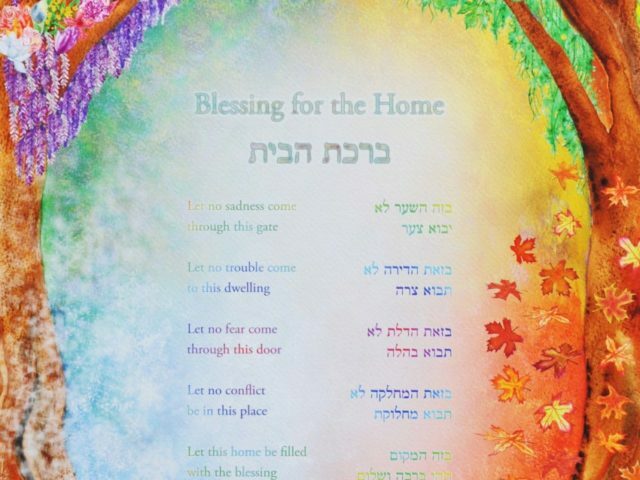 As a central piece of poetry and prose to the Jewish canon of blessings, ‘Birkat Habayit –ברכת הבית, translated from hebrew as “Blessing for the Home” ushers happiness, prosperity and peace into the home. 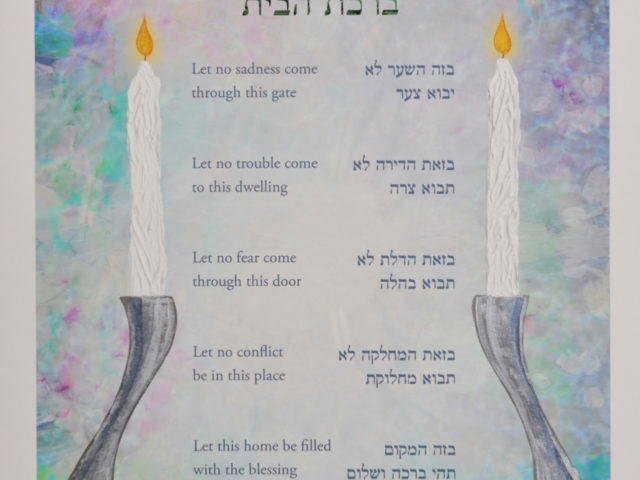 Accordingly this prayer is an extremely auspicious document to gift a newly married couple as they embark on their journey through life in one vessel- building a home and family (which this artwork in turn safeguards and protects). 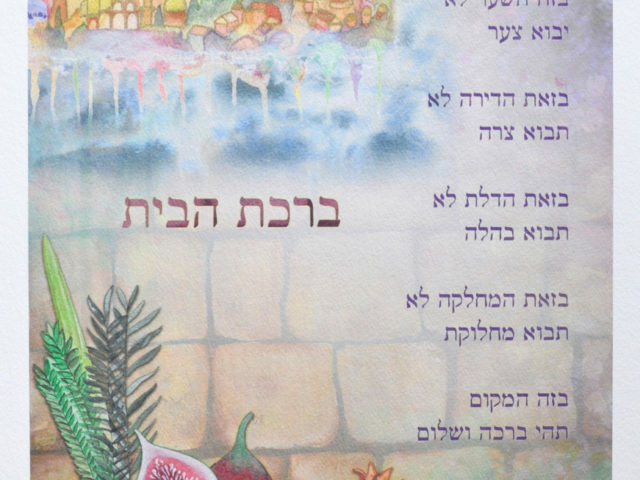 Select a Birkat Habayit that reflects the colors, themes or harnesses imagery related to the couple as a perfect and meaningful wedding present. 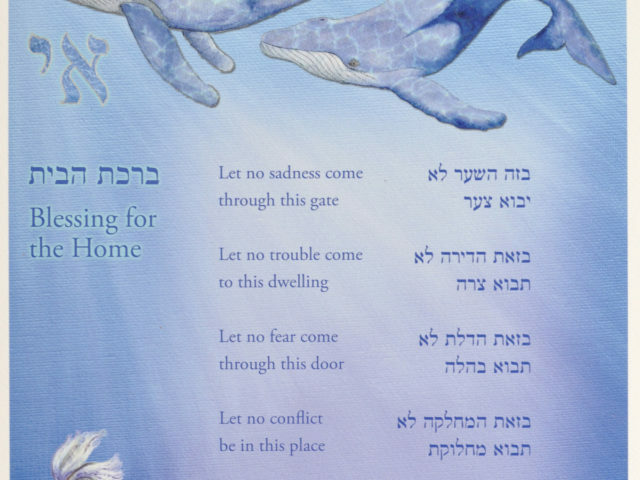 Printed on the highest artists quality 300 GSM (grams per square meter) textured paper, with endless iridescent dusting and painted embellishment options available.